the 50th Anniversay 1967 Falcon. This award has been established to encourage and support students in the Applied Transportation Technology program - Auto Body at Fanshawe College. 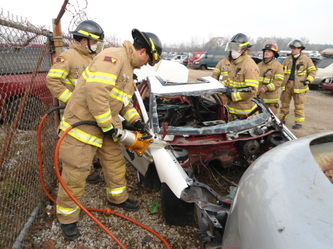 The $500.00 Corey Auto Wreckers Award is presented annually to a worthy Auto Body Graduate who has demonstrated leadership in the classroom and College life. 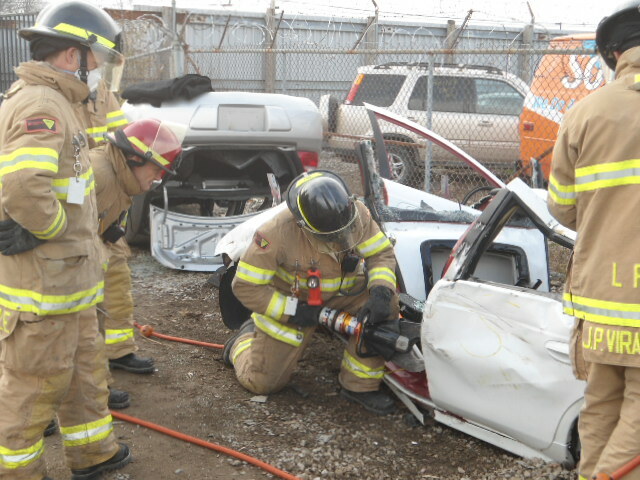 Question: Did you ever wonder how the rescue workers know how to safely remove a person from a car wreck? Answer: They train in partnership with professional automotive recyclers like Corey’s. 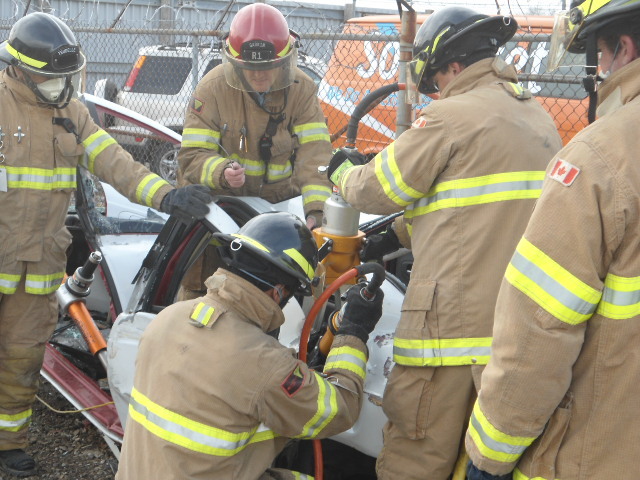 For over twenty five years Corey’s has been providing vehicles for the London Fire Department extrication training program. By practicing onsite, rescue crews are able to hone their skills and try new equipment. They are also able to stay on top of the ever changing designs and safety devices in today’s modern vehicles. Corey Auto Wreckers and the London Fire Department, working together to make your community safer! 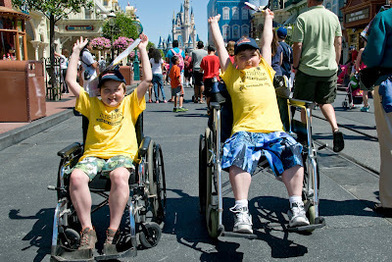 Saturday, April 28, 2012 Dreamlift to Disney with the Sunshine Foundation! 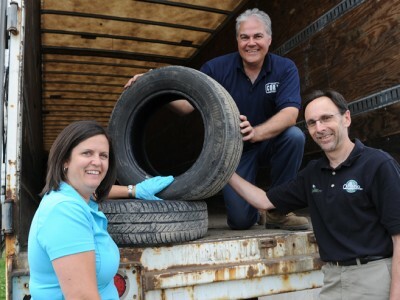 .....Thank you to all who donate to the Sunshine Foundation of Canada- including the Ontario Automotive Recyclers Association and the Automotive Recyclers of Canada, who sponsored this Dreamlift trip.